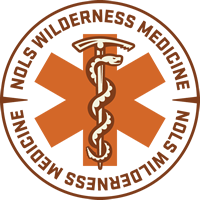 As an instructor for NOLS Wilderness Medicine, Pete Walka has sponsored over 200 courses in Flagstaff, Arizona since 2002. In 2006, he created the Flagstaff Field Institute to continue this cooperative effort with NOLS Wilderness Medicine, and the Flagstaff Field Institute functions as the center of wilderness medicine education in Arizona and the Four Corners region of the Colorado Plateau. Ready to get your certification? © 2019 Flagstaff Field Institute. All Rights Reserved.